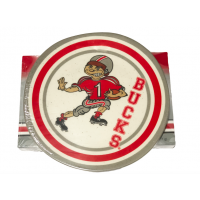 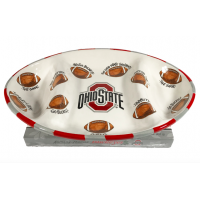 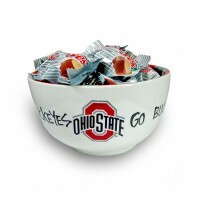 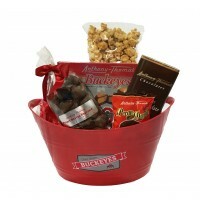 Our Buckeye Snack Bucket includes 8 oz. 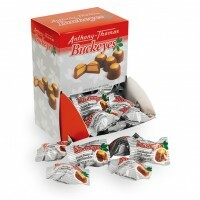 Caramel Corn, 7.25 oz. 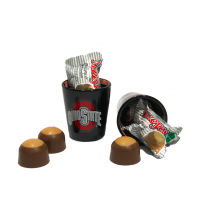 OSU Buckeyes, 7 oz. 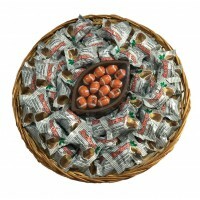 Peanut Butter Pretzels, 3.5 oz. 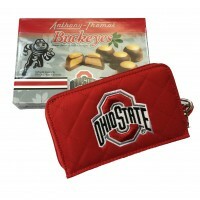 Dark Chocolate Bar, and a 2 oz. 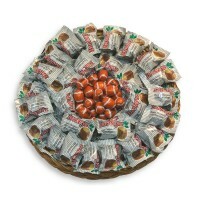 Pecan Daintie! 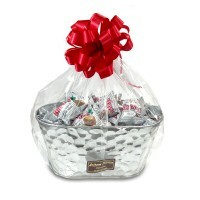 ..
A beautiful Woodchip Basket filled with some of our favorites. 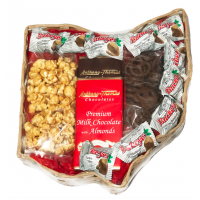 This gorgeous gift comes with Caramel Corn, Chocolate covered mini pretzels, enough individually-wrapped Buckeyes to share, and two large..